My group had a tour of the Pierce County Library Administration Building at 3005 112th St E. Tacoma, WA 98446-2215 and I loved getting to see where the books come into the library system and are process. I didn’t realize there is actually a small public library in the lobby of the building. I’m especially enamored with the wonderful, space saving shelving that wheels flush. And there was a glimpse of the bookmobile! Little known fact, I applied to drive/manage the bookmobile many a year ago! Anyway it was a great tour. This entry was posted in Books (Libraries and Bookstores), Parkland, WA State - Pierce County and tagged Admin, Adminstration, book mobile, Building, Center, library, shelving, tour, WA State - Pierce County on February 20, 2017 by admin. 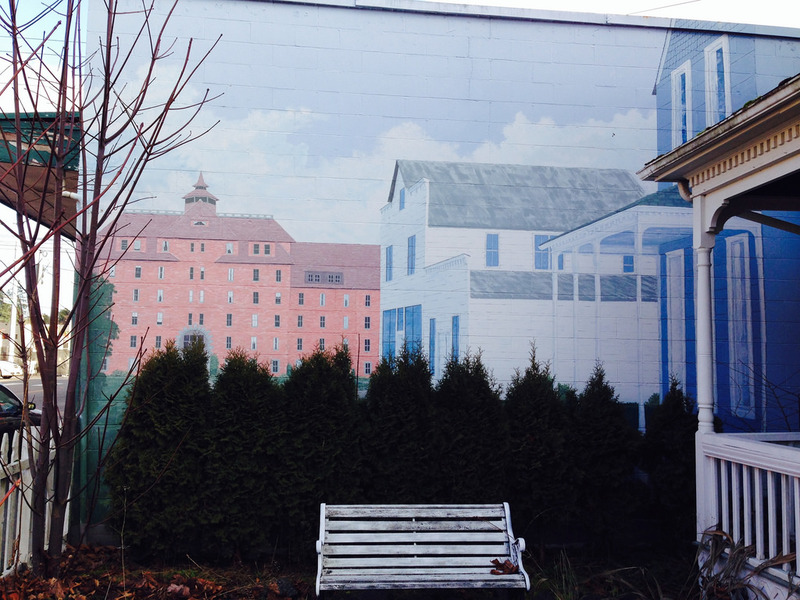 There is a Ed Kane mural next to the blue house at 412 Garfield Street. The house is echoed in the mural and there is also a white house and a brick building that I assume are original to the neighborhood. More information about the mural can be found here. This entry was posted in Art -- there is art here!, Parkland, WA State - Pierce County and tagged art, Ed Kane, mural, Parkland, Tacoma on January 19, 2014 by admin. There is Black Friday, Cyber Monday and Shop Small (Small Business) Saturday. 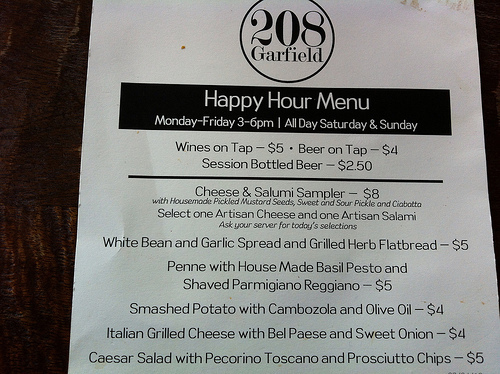 I had a list of Small Business places to go, but it was dear husband’s birthday and our lunch at 208 Garfield took longer than we expected. 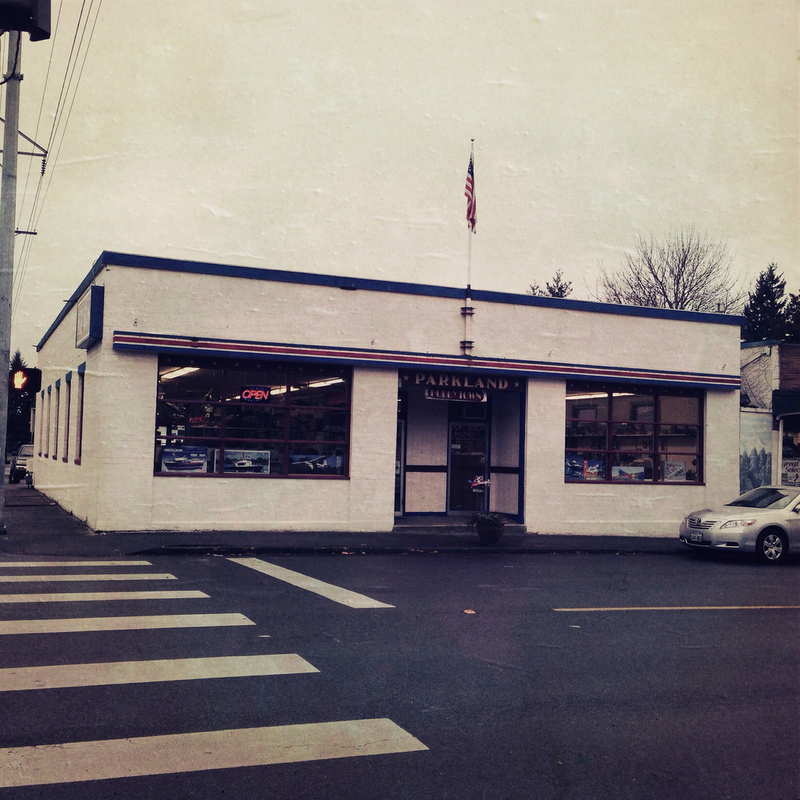 After lunch we explored Garfield Books, then walked down the street to Hobby Town at 402 Garfield. We closed the outing at Pacific Coffee Co. This is the third year for Small Business Saturday and I believe that it is an important reminder to support our local business that so often give back to the community. I plan to do more local shopping. 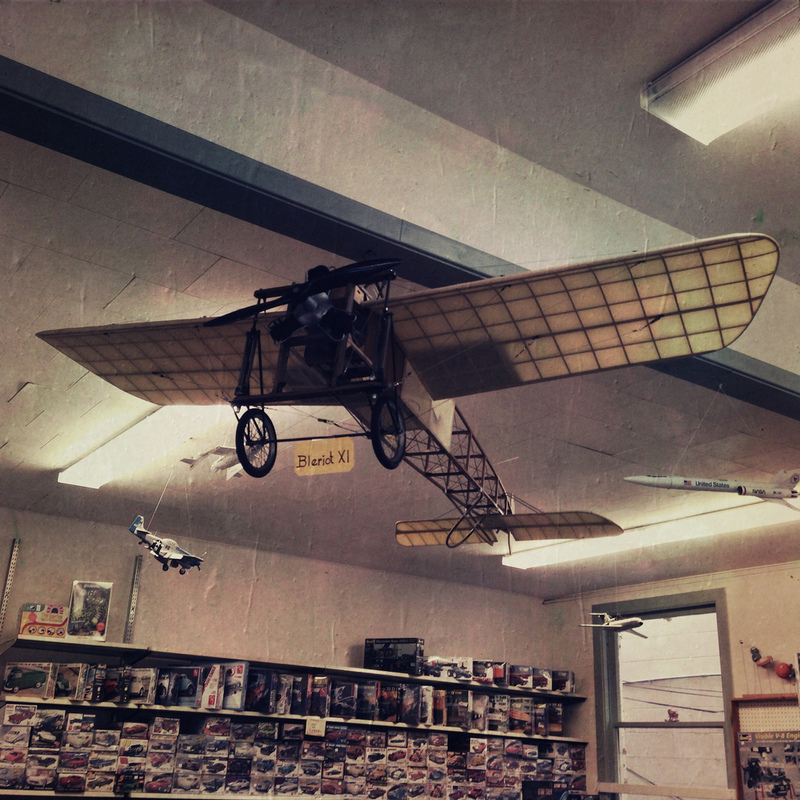 I loved all of the model planes hanging from the ceiling of Hobby Town and the people working there were so nice. This entry was posted in Parkland, Stores and other places that sell you things, Unique Shopping (stores with some personality), WA State - Pierce County and tagged Garfield, Hobby Town, Hobbytown, Holidays, Parkland, PLU, Shop Small, Small Business Saturday on November 30, 2013 by admin. 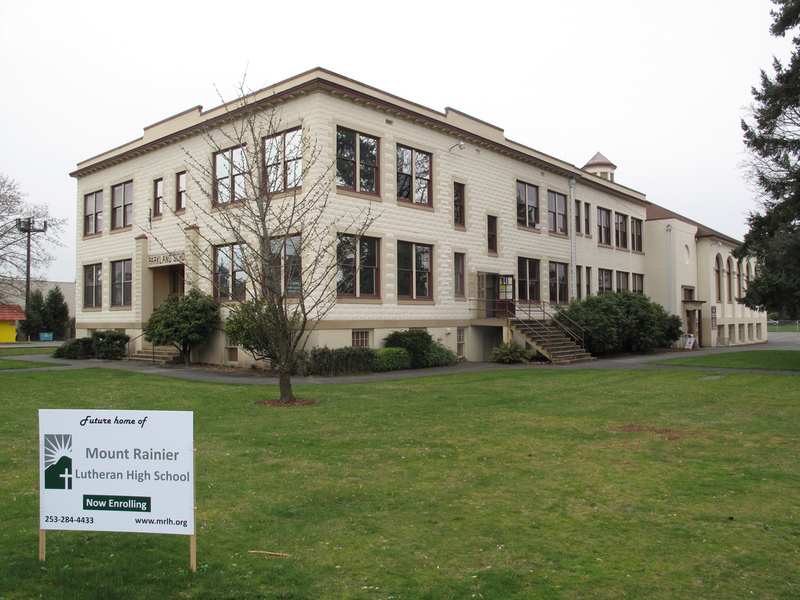 Parkland School at 12102 Pacific Avenue in Parkland is the future home of Mount Rainer Lutheran High School. The concrete block school was built in 1908, had several additions over the years and closed in 1982. More recently it has used for counseling offices. Come this fall, it will be Mt. 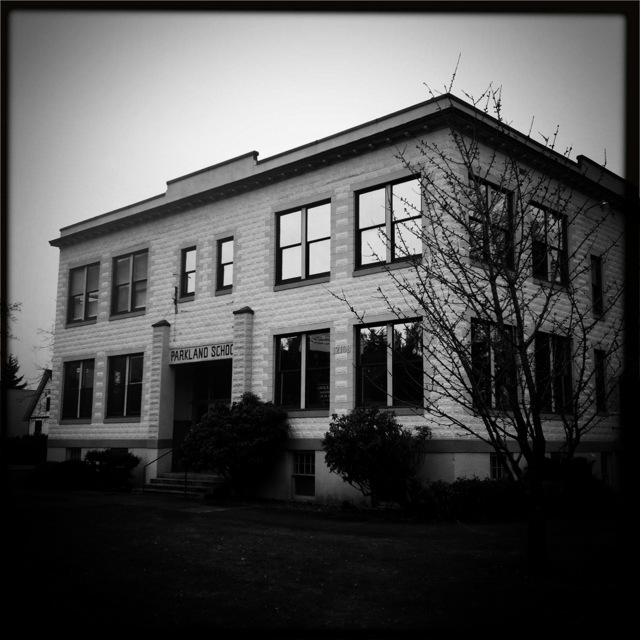 Rainier Lutheran High School. Special thanks to Tacoma Public Library’s Northwest Room for finding this info for me! 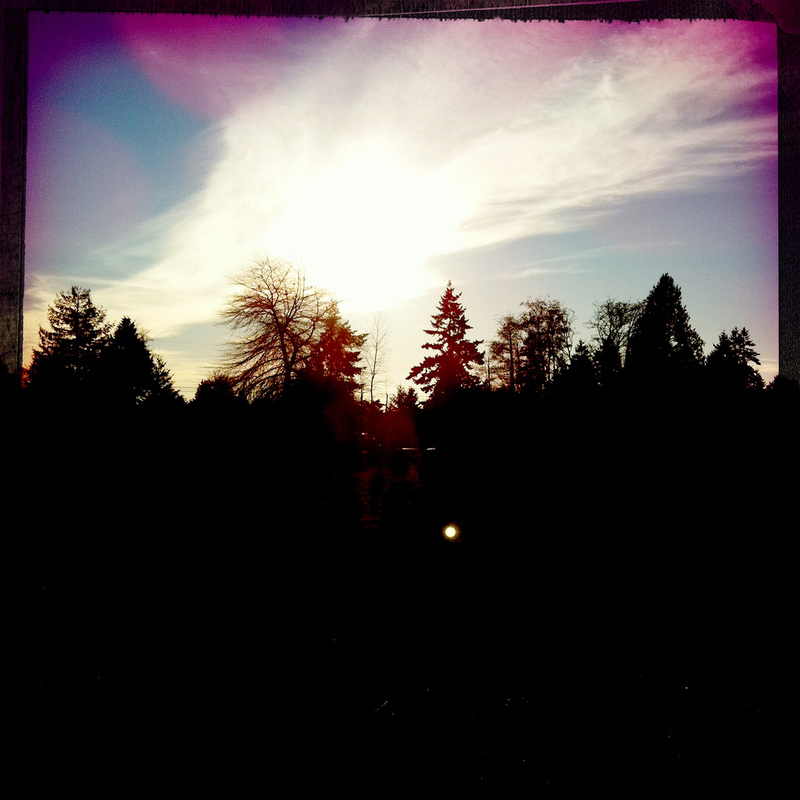 This entry was posted in Historic Sites, Parkland, WA State - Pierce County on March 27, 2013 by admin. During this extended winter I’ve had more then my fair share of coffee. Today I went out for a walk, but it started to hail! 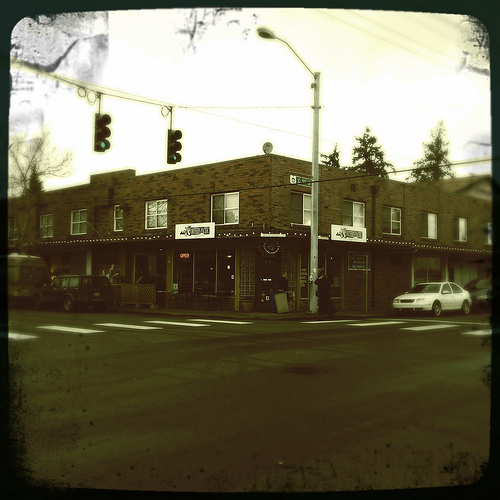 So, I ducked into the Northern Pacific Coffee Company at 401 Garfield Street South, in the Parkland area of unincorporated Pierce County. 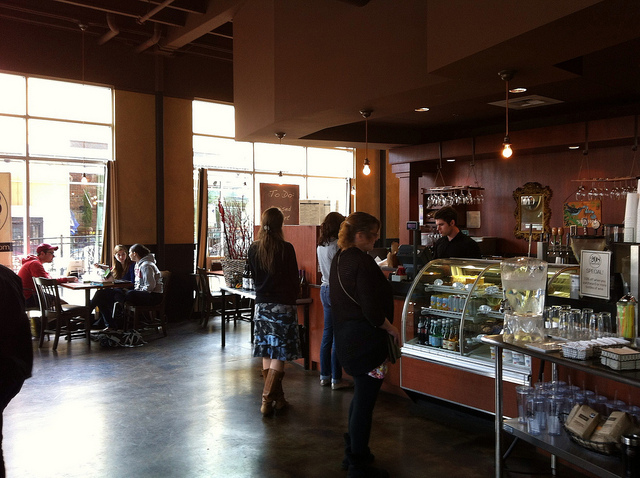 The coffee shop features lunch, sweets, wine, beer, coffee drinks and frappes. 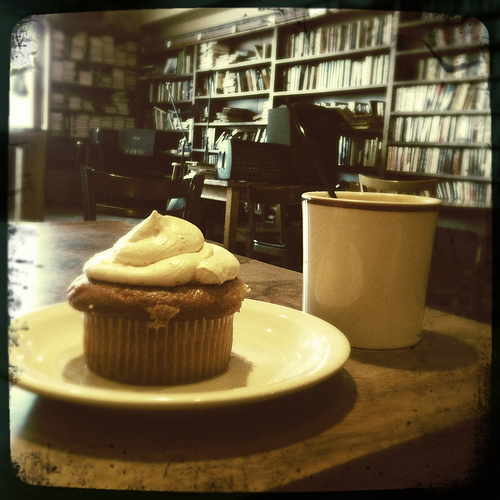 I had a delicious Americano and a chai cupcake. 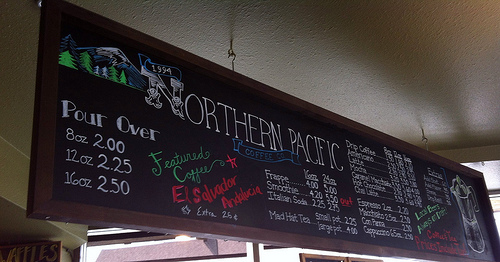 Update: Northern Pacific Coffee Company closed as of January 2017. This entry was posted in Coffee Shops, cafes and bistros, Parkland, Restaurants, Their future is in question, WA State - Pierce County and tagged closed, co., coffee, coffee house, Company, Cupcake, Northern Pacific Coffee, Parkland, PLU, restaurant, Tacoma, WA on March 18, 2012 by admin. It’s that time of year and we spent more time then normal deciding on our tree. Did we want to go to a lot and if so which lot? Or a you cut farm? 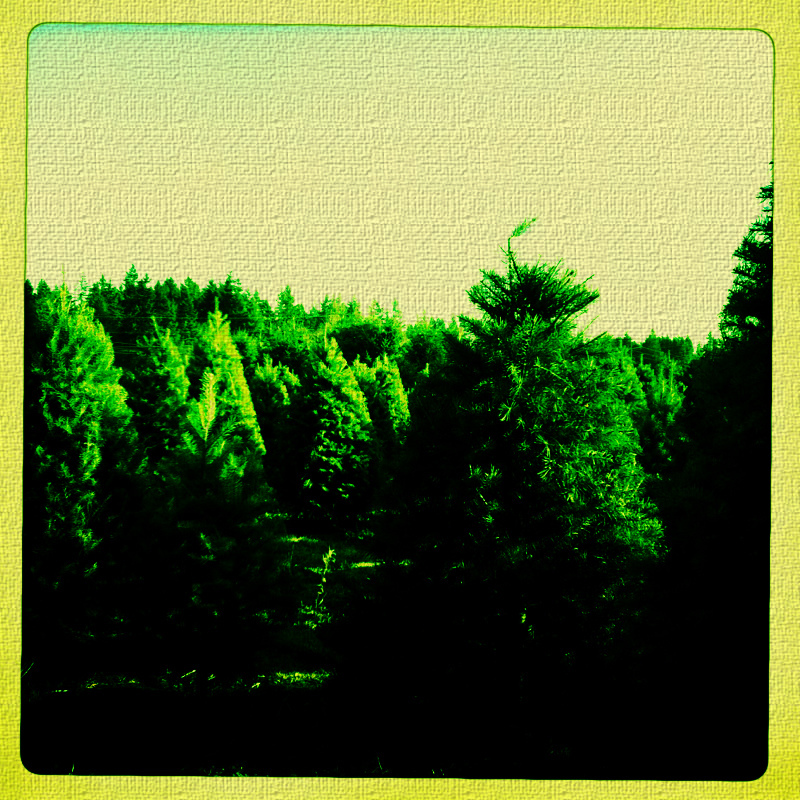 While I was up in the air, my husband called it – a You Cut called No-El Tree Farm. We had gone to a couple of years again. It is a family run farm in South Pierce County. This entry was posted in Farms and Gardens, Parkland, WA State - Pierce County and tagged Christmas, farm, Holidays, No-El, tree, u cut, Winter, you cut on December 4, 2011 by admin. This entry was posted in Government, Parkland, WA State - Pierce County and tagged Department of Licensing, Parkland on November 29, 2011 by admin. There are over 500 vintage vehicles at the LeMay Family Collection at 325 152nd Street East, Tacoma, WA 98445. Our family signed up for the 1:00 tour and I figured it would be over by 2:00 so the next group could begin. But they must stagger tours because ours went until 3:30! The tickets are $15 for adults and $5 for students and kids under 5 are free. A tour guide takes the groups through, which is great because he was happy to talk about the cars, tell stories about how they came to be at LeMay and answer questions!. 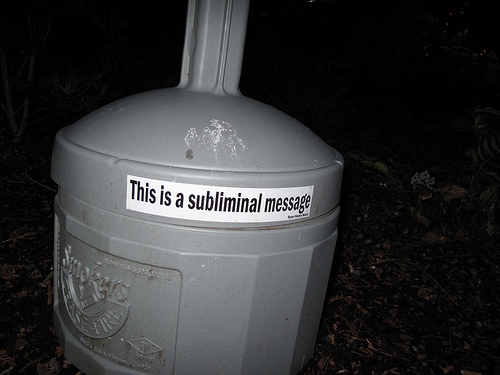 This entry was posted in Historic Sites, Museums, Non Profits, Parkland, WA State - Pierce County and tagged boats, cars, collection, family, guide, largest, LeMay, Tacoma, tour, trucks, vehicles on July 21, 2011 by admin.